You’re pregnant and sometimes rolling out of bed in the morning is all you can handle. Well, in news that’s likely no news to you, things aren’t going to ease up once your baby arrives. That’s why we recommend doing a little prep work. Namely, stock up on easy-to-make dinners that don’t come from the frozen food section. Cooking? Now?! We get it. It seems like the very last thing you want to do but believe us, putting in a little time in the kitchen (or, better yet, commissioning your partner to do it) pays off. Just ask Autumn Hoverter, a Seattle-based dietitian and mother of 2-year-old Teo. Inspired by her pregnancy, Hoverter and her husband, Ben, wrote Before Baby: A Step-by-Step Guide to Making and Freezing Meals Before Your Newborn Makes Cooking Impossible. Chock-full of food safety, meal planning and other dietary advice, Before Baby features recipes that pack a nutritional punch without being complicated. The even better news: They freeze well. Imagine this: It’s 2 p.m. and you can’t remember the last time you slept, let alone ate. Your baby is finally down for a nap but if you make too much noise in the kitchen, that blissful alone time won’t be so alone. 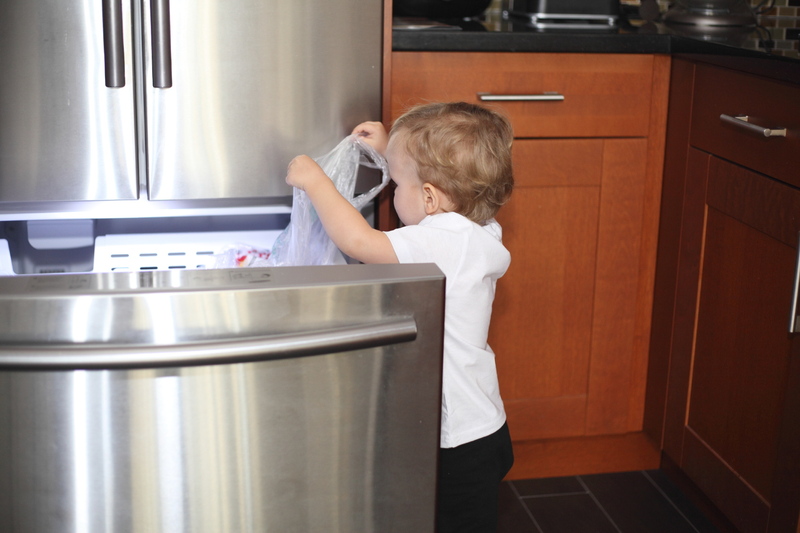 If you’ve followed Before Baby’s advice, however, cooking is as simple as opening the freezer. Sound appetizing? Hoverter offered a sample of her recipes to get you started. 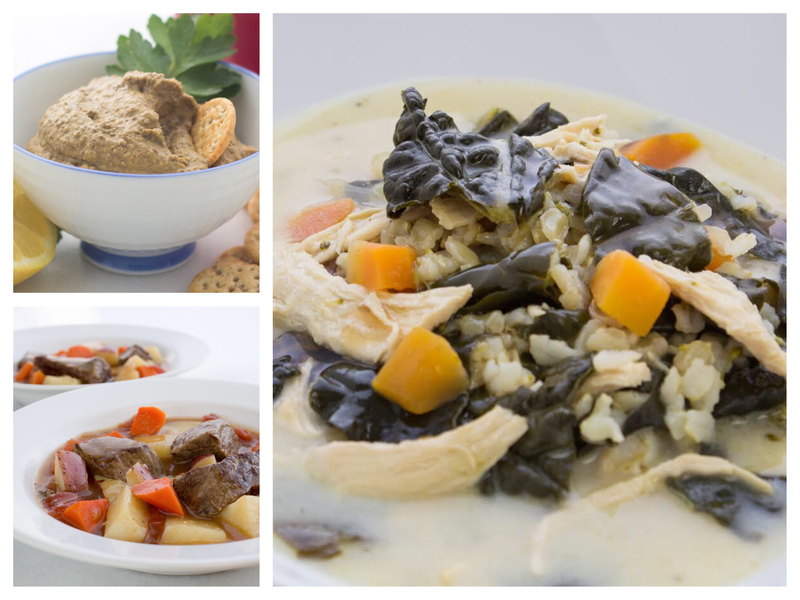 Read on for masala lentil dip, traditional beef stew and coconut chicken soup plus new parenting insight from Hoverter. 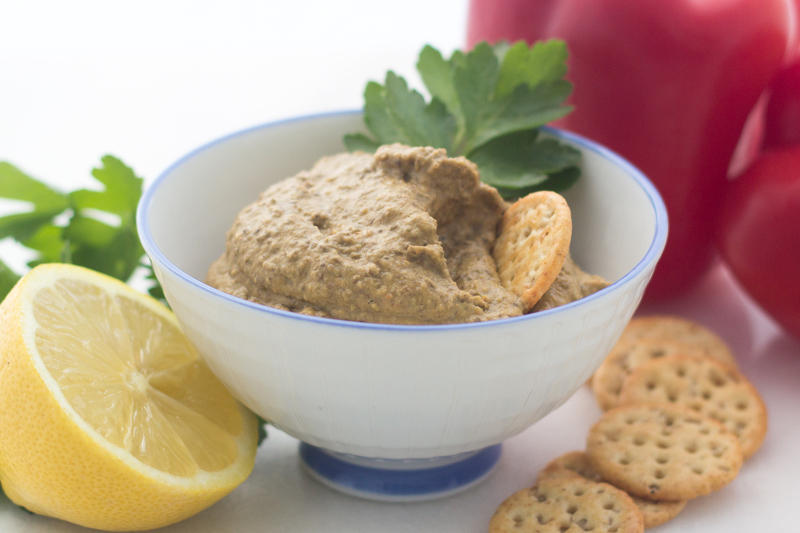 This dip is my version of a bean spread they used to sell at Trader Joe’s. It’s sweet and spicy and completely addicting! Any type of lentil will do, but I’ve been using canned black lentils. Don’t be intimidated by the list of ingredients; it’s mostly just spices. In the bowl of your food processor or blender, place the lentils, tomato paste, lemon juice, tahini, garlic, brown sugar, curry powder, garam masala, salt, paprika, turmeric, ground ginger and cayenne. Purée until chopped and starting to blend, then drizzle in the olive oil as the food processor blends. Purée another 2 minutes until the dip is smooth. Freeze in 1⁄2-cup servings in either glass jars or small plastic containers. Serve with chips or fresh chopped vegetables. What’s one tip in the book you think goes underrated or isn’t noticed? Freezing grains. There’s a reason that frozen brown rice is such a popular item at grocery stores, and that’s because it turns what seems like an impossible meal into a simple, fast and healthy dinner for busy parents. Whenever I need a grain (millet, quinoa, rice, sorghum, etc), I cook a big pot and freeze what I don’t use, making it available as an addition to soup, a side dish for stir-fry or the base for a quick quinoa salad. When I was growing up, my mother would make the most amazing beef stew, and I’ve tried to recreate it for you here. Normally I’d pack it with veggies, and I’ve given you some great options at the end of the recipe, but after my baby was born I just wanted good ol' home cookin’, so instead of putting the veggies in the stew, I ate it with bag salad and called it a night! 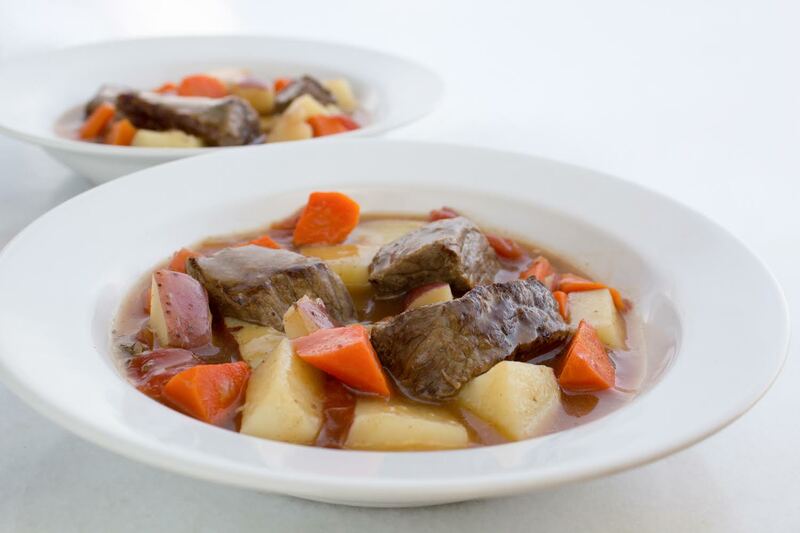 In my opinion, this recipe works well in both the slow cooker and on the stovetop, but as with all slow cooker beef recipes, I highly recommend you cook it for at least 8 hours on low to get the most tender, delicious beef possible. Brown the beef — Heat the vegetable oil in a large pot over medium heat. Add half the beef and brown on all sides, about 10 minutes. Remove to a plate and repeat with the other half of the beef. Sauté the aromatics — Add the onion to the pot (with a touch more oil if necessary) and sauté until soft, about 10 minutes. Add the garlic and cardamom and cook an additional 30 seconds, until the garlic is fragrant but not burned. Deglaze the pan with red wine and cook for about 2 minutes, scraping the browned bits off the bottom of the pan. Make the stew — Add the beef back into the pot, along with the carrots, tomatoes, broth, Worcestershire sauce and bay leaves. Cover, bring to a boil and then turn down to low. Simmer for about 1 hour 40 minutes, then add the potatoes and cook an additional 20 minutes. You can add the potatoes at the beginning of the cooking time, but they’ll retain their shape better during freezing if they are cooked at the end. Adjust seasoning as needed. In the bowl of your slow cooker, place the beef, onion, garlic, cardamom, red wine, carrots, tomatoes, broth, Worcestershire, bay leaves and potatoes. Cook 8 hours on low OR 4 hours on high. To make it vegetarian: Replace the beef with 3 to 4 cups of beans of your choice; kidney beans are especially delicious, but make sure to soak them! Use vegetable broth in place of the beef broth. To make it veggie-licious: At the end of the cooking time, add peas, green beans and/or mushrooms. What’s your favorite recipe in the book and why? The coconut chicken soup, hands down. 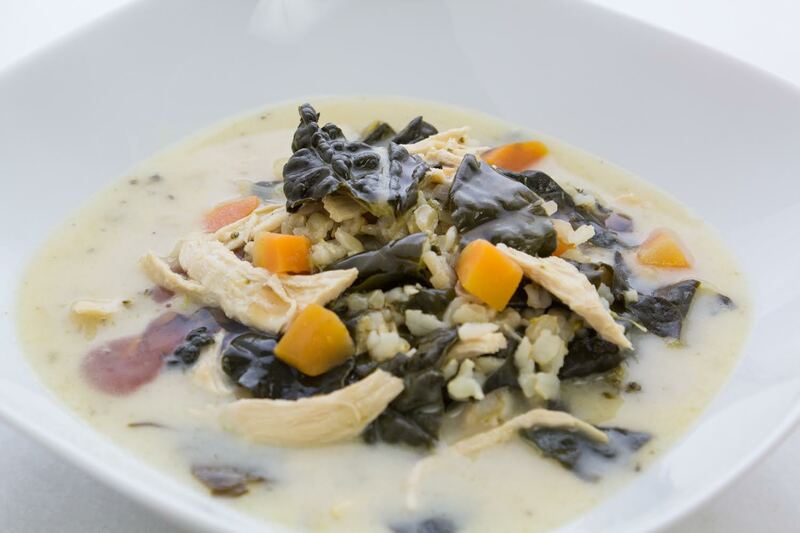 It’s somewhere between a Thai green curry and tom kha soup, and it nourishes the soul. It’s full of healthy fats, protein, good carbs and veggies, and it tastes amazing when you’re sick or after you’ve gone through the stress and trauma of childbirth. It’s also extremely flexible (as I’ve mentioned in the recipe) and can be easily modified to suit anyone’s tastes, from spice level to the type of vegetables. This is, hands down, Ben’s favorite soup. We make it with two teaspoons of green curry paste because I’m a spice wuss, and then Ben adds more curry to his bowl. I prefer to add toasted sesame oil instead. Either way, we’ve found that you need a little more green curry when making this soup in the crock pot. For extra creamy goodness, replace the second can of coconut milk with coconut cream if you can find it. It’s how my family prefers the soup! Sauté the aromatics — Heat the olive oil in a large soup pot over medium heat. Add the onion and carrots, turning down the heat to slightly below medium, and sauté for 10 minutes, stirring occasionally, until the onions and carrots are soft. Add the garlic, red chile flakes and green curry paste and cook for 30 seconds, until the spices are fragrant but not burned. Make the soup — Add the chicken broth and bring soup to a boil. Add the chicken breasts and brown rice, cover, bring back to a boil and then turn down to simmer. Cook the chicken breasts 15 to 20 minutes, until cooked through, and then remove to a plate with tongs. Cook the rice an additional 10 minutes and then add the kale, broccoli and green beans. Simmer uncovered for 10 minutes more, until the veggies are tender but not mushy. While the veggies cook, shred the chicken into bite-size pieces, and then add it back into the soup along with the coconut milk and lime juice. Place the onion, carrots, garlic, red chile flakes, green curry paste, chicken broth, chicken breasts and brown rice in the slow cooker. Cook on low for 5 hours. Add the kale, broccoli, green beans and coconut milk (or coconut cream) and cook for another hour. Turn off the slow cooker and remove the chicken breasts to a plate. When they are cool enough to handle, shred them into bite-sized chunks and return to the soup. Stir in the lime juice. Note: This soup will not suffer one bit if you add the vegetables at the beginning of the cook time, they’ll just be softer. Definitely still add the coconut milk (or coconut cream) and lime juice at the end. To make it vegetarian: This soup is just as tasty when veggie! Substitute vegetable broth for the chicken broth and use 16 ounces firm tofu in place of the chicken. Add the tofu when you add the green vegetables. You could even bump up the brown rice to 2⁄3 cup for a bit more substance. To make it veggie-licious: Add zucchini and/or cauliflower with the other vegetables. 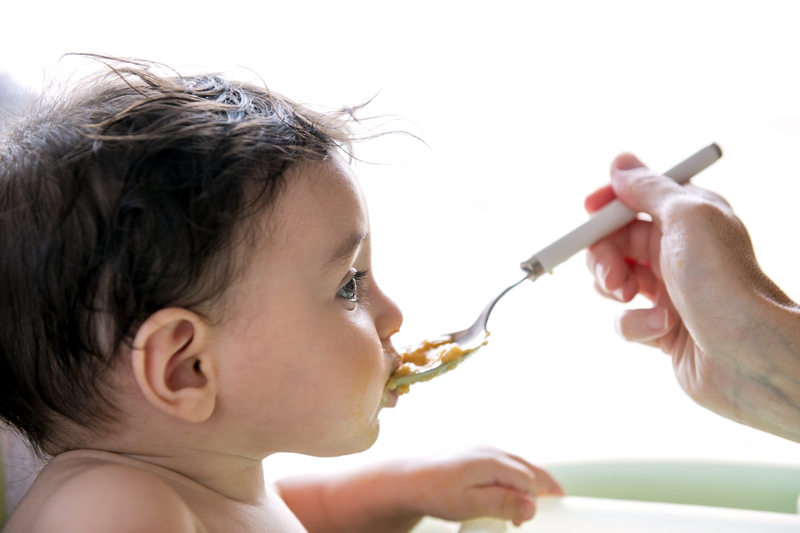 What’s the biggest mistake you think parents-to-be make when it comes to food after baby? Parents underestimate the prevalence of food sensitivity in babies. It can manifest as reflux, eczema, trouble sleeping and digestive issues. Often people prepare and freeze foods containing major allergens, only to find out their baby can’t tolerate them when consumed in breast milk. Then all that hard work and food goes to waste! 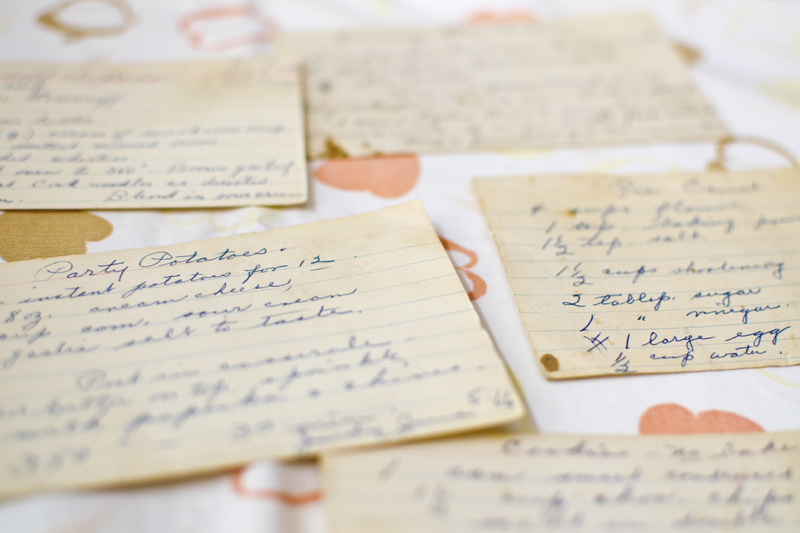 The recipes in Before Baby are all gluten- and dairy-free because it’s easier to add cheese and bread to recipes than to take them away.